Pic of the Week: Ummmmmm? This pic of the week is so confusing for me. I have so many questions. 1) What’s even happening here? Hernia, food poisoning, stab wound, what? 3) Although this was taken in a bathroom, it’s not a self shot. Which begs the questions: a) Who took this picture? and b) Why? There’s clearly something wrong, why is this creepy photographer documenting his pain instead of coming to his aid? 4) That left thigh muscle terrifies me. Not technically a question, but still. 5) Why is he wearing tights? Is he a simpleton’s Robin Hood: Men in Tights? Couldn’t get his hands on a period vest or white button down, so black tights and a plain white T had to suffice? 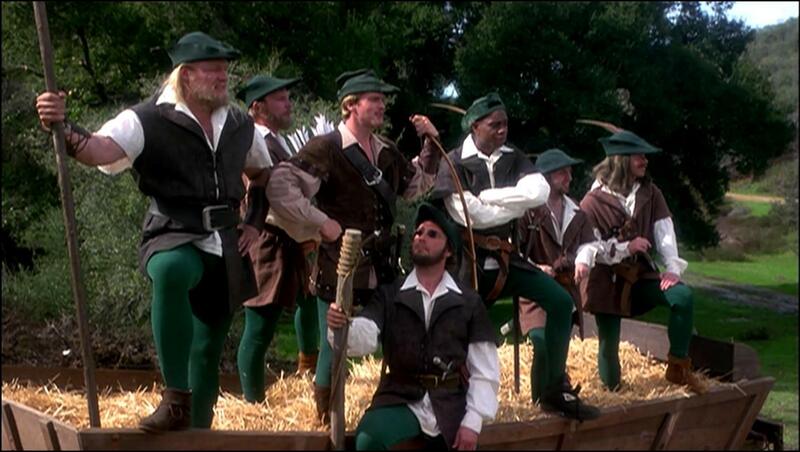 FYI: Cary Elwes and his band of merry men do it better buddy. Both physically, and because they had Mel Brooks. | Tagged bathroom pic, Cary Elwes, D, Hernia, Pic of the week, Robin Hood: Men in Tights, so many questions, Ummm? Plus, Cary Elwes gets Amy Yasbeck from Wings at the end of the movie. I shudder to think what this guy gets. You just made a Wings reference. Marry me? Looks like I know what I’m doing tonight! P.S. You’ve now made both Friends and Wings references. All that’s missing is a Night Court reference. Wield your powers carefully sir, because I will melt if you hit that trifecta. Then don’t give me a chance to allude to TV judges or magicians…or Dave’s World, because Harry Anderson is awesome. The guy is flexing. It’s a strange pose, but he’s actually flexing his arms (which leads to the weird, almost-grabbing of his stomach), his pecs and abs (which accounts for the leaning forward posture), and his legs (which leads to your scary quads comment). 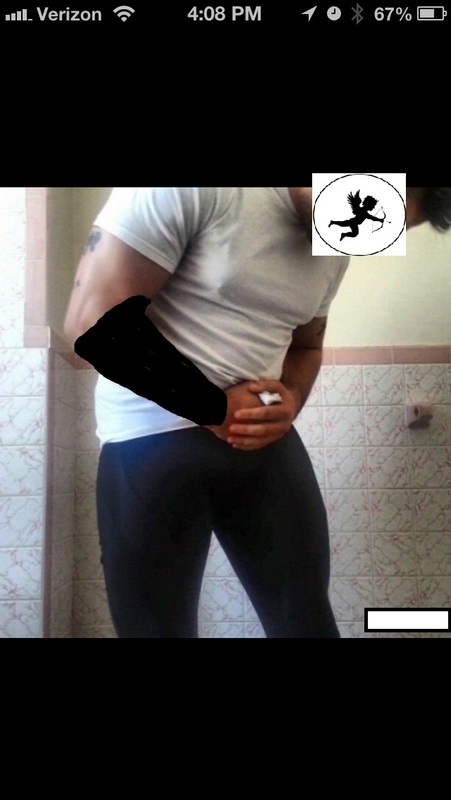 He’s wearing the tights because I bet those are his workout clothes; and I would think his workout partner is taking the picture. Well that explanation is decidedly less funny (though admittedly less terrifying). But what kind of gym has men’s bathrooms/locker rooms with pink tiling? Yeah, only the best ones. Although the half of the toilet paper holder makes me think the guy works out at his (mom’s?) house.